The 24th of March is the International Day for the Right to the Truth Concerning Gross Human Rights Violations and for the Dignity of Victims. The Right to Truth: a study undertaken in 2006 by the UN concluded that the right to truth is an inalienable and autonomous right, linked to the duty and obligation of the State to protect and guarantee human rights, to conduct effective investigations and to guarantee effective remedy and reparations. The study affirms that the right to the truth implies knowing the full and complete truth as to the events that transpired, their specific circumstances, and who participated in them; including knowing the circumstances in which the violations took place, as well as the reasons for them. In Zachariah 8:3 we read “This is what the Lord says: ‘I will return to Zion and dwell in Jerusalem. Then Jerusalem will be called the City of Truth, and the mountain of the Lord Almighty will be called the Holy Mountain". God is a God of Truth. In Him, there is no darkness or lies. In a world that uses propaganda, dis-information and lies to confuse and control people, we need to be people of Truth. Truth that brings hope and always points to God. In other words – prophetic. We need to speak out truth lovingly, full of mercy - prophetically. We tend to like to speak words that make people like us, feel good about themselves and which leave us feeling positive about our lives. We avoid the hard but relevant issues and topics; we don’t speak out against injustice. Prophecy is not only about predicting the future – it’s about declaring the word of the Lord in and through the power of the Holy Spirit. It’s about presenting the love and truth of God in relevant ways. It will invariably mean challenging the corruption, conflict and brokenness in our contexts and our cultural settings. Of course it is also about strengthening and encouraging believers, but it is also about speaking truth into our world. Social action is by its very nature prophetic. It acknowledges the status of our world and it speaks truth and life into it. It leads by example, grieving and acting, always hoping, always persisting. It is not just about having a loud voice and strong opinions. It is not just about having marketable campaigns. But it is daring to imagine the future with God. Daring to point to what transformation looks like and the courage to move towards it. Being prophetic means that our lifestyle and our words (everyday conversation as well as speaking moments) all reflect the truth we hold to. To be effective we need to do the research both theologically and practically so as to understand the injustices, their causes and the actions being taken. In other words, we have to know what we are talking about - and that requires due diligence. Ron Sider recently stated at the Micah Summit that Christians often shoot before they aim. We speak out without understanding the situation. Let us take time to research the status of our nation with regards to their achievements against the Millennium Development Goals and as we prepare for the launch of the Sustainable Development Goals in September 2015. Let’s dare to imagine our nation as God would want it. 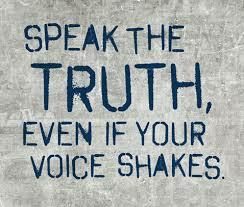 Let’s stand together and speak truth so as to encourage the change that needs to happen. Holy Spirit, guide us and fill us with your discernment, lead us into all truth. In recognition of International Women's Day, held on March 8th, Christian Aid collected prayers from service liturgy written by women of the Presbyterian Church in Colombia. • women who have been beaten, tortured, threatened, and cannot tell. who has created women in your image. Ongoing conflict in South Sudan since December 2013 has killed over 20,000 people and left 1.5 million internally displaced. 2.5 million people are currently facing crisis/emergency levels of food insecurity [ReliefWeb]. In recent weeks, an agreement has been signed between the President and the rebel commander, in which warring parties agree to cement a peace agreement by March 5th. The hope is that this will bring 15 months of conflict to an end. 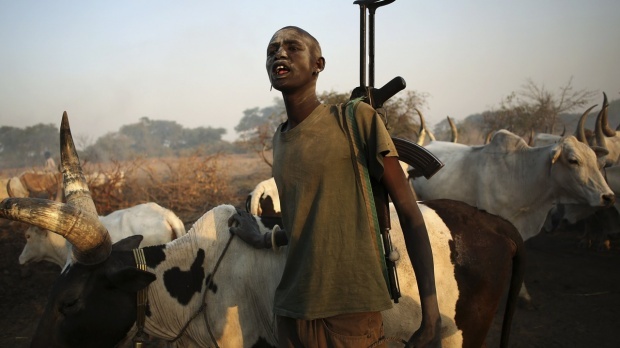 • Several previous peace deals and ceasefires in South Sudan have been broken. Cry out to God in prayer that this deal will hold, and that the people of South Sudan will very soon be able to live in peace and safety. • Pray for conflicting parties, diplomats and peacemakers as they work towards a power-sharing agreement. Pray for openness, commitment and cooperation. • Pray for the people of South Sudan suffering as a result of conflict. A massive 1.5 million people have been displaced and 11 million people are struggling for enough food. The program and logistics for this event are gradually taking shape. There is a lot of work that still needs to happen; our staff and volunteers appreciate your ongoing prayers and support as they seek to put everything together. - God's voice to be heard; and responded to. - Encouraging and nurturing relationships which cross geographical, generational and sectoral boundaries. - Ideas and creativity to be shared and built upon. - the sharing and learning of contextually diverse expressions and experiences of Shalom. In June 2011 at the Review of the Micah Declaration on Integral Mission it was agreed that we needed to focus on supporting national conversations on integral mission. We have developed a number of National Micah Expressions that are tasked with this responsibility. 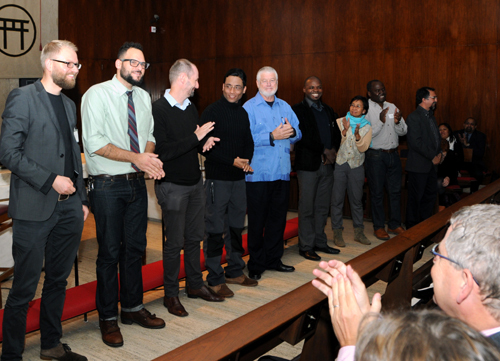 The merger with Micah Challenge brought a further number of National Micah Coalitions into our Micah Global movement. Together we now have 46 national Micah’s. It is a hard job for national coordinators to take on and we want to take a moment to celebrate each person who has committed to run with are shared vision, and to thank them and the national coordinating groups that stand with them.